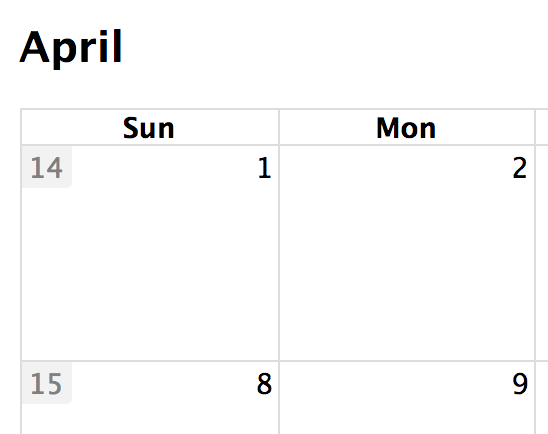 Display week numbers in various parts of your calendar views. Determines if week numbers should be displayed on the calendar. Determines the styling for week numbers in Month and DayGrid views. The method for calculating week numbers that are displayed with the weekNumbers setting. The heading text for week numbers. Also affects weeks in date formatting.